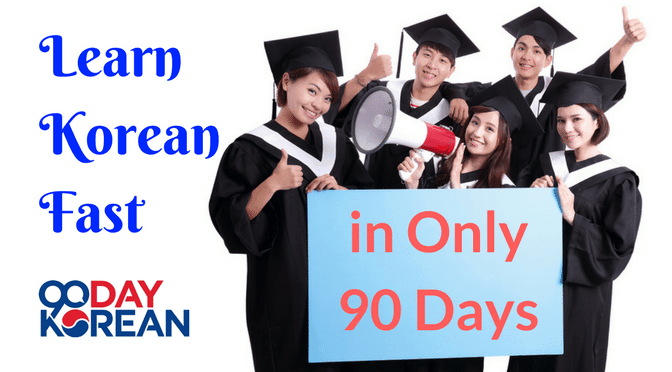 Learn Korean Fast in Only 90 Days — No Natural Gift for Language Learning Required! I’ve always dreamed of learning languages and traveling the world (haven’t we all). I daydreamed about how I’d order sushi in Japan, travel around South America speaking Spanish and learn taekwondo in Korean. 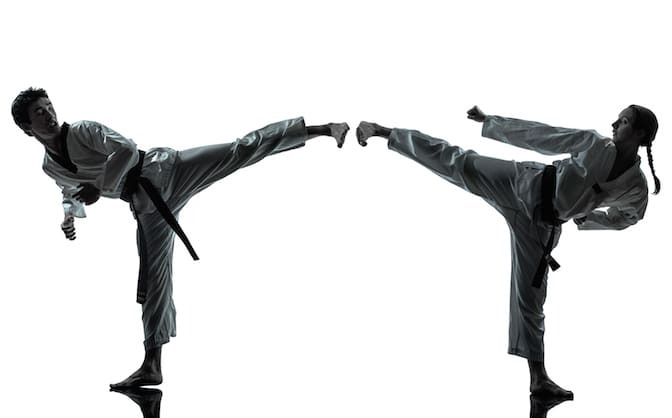 Imagine learning Taekwondo in Korean! But even when my dream came true and I first came to Korea, something stopped me. Call it what you will — procrastination, fear of failure, laziness, status quo — it held me back. This man needs a Korean-study reality check! Good news for all you aspiring Korean speakers out there — I couldn’t have been more wrong! You don’t need to be “gifted” at learning languages (whatever that means) to have conversations in Korean. You just need to put in a little time, and have fun with it. Learning Korean is really just about teaching your brain to recognize new patterns that it isn’t used to! Simple. Set aside just 3 hours and you’ll be having your first conversations. A few months later you can pass as a 5-year “veteran” of the language and be a superstar. Trust me. For those of you who have considered becoming a Korean speaker but haven’t yet, becoming one is both easier and more rewarding than you could ever imagine. There are the obvious benefits like being able to order anything you’d like to your house, watch your favorite shows in Korea or guide a taxi without issue. But there are also the intangibles — the little rewards that only Korean speakers get to experience every day. The way the barista’s face lights up at the cafe when you comment about her uniform. The smile on your new hairdresser’s face when you tell her how you’d like her to cut your hair in Korean. The old lady on the street who asks you for directions only to realize you’re not Korean, then sits amazed as you respond in turn with detailed directions about how to reach her destination. The deep conversations and connections you’re able to have with your Korean friends and loved ones that only come when you’re able to converse in their language. I absolutely love speaking Korean, and I can now say that deciding to learn Korean was one of the most important decisions I’ve ever made. Let’s get started with the break down of how to have a 3 minute conversation in Korean within only 90 days. You really don’t need to be perfectly fluent to have fun with speaking Korean and make your life in Korea more meaningful. Let me say it again. You don’t need to be perfect! You just need to be understood. Learning to read and pronounce Korean takes only 90 minutes. All that requires is memorizing 24 basic symbols and associating them with their sounds, which I’ll go through. The rest of the 90 days is the fun part, where you get to go out and practice what you’re learning, meeting all sorts of new people along the way that may just change your life forever. Here is your schedule for the next four hours. Copy it onto a post-it note and put it somewhere easily visible. Posting it on the laptop screen works well. Hours 0-1: Learn the Korean characters and practice reading them. This is not easy, but can be done with a few simple associations and mnemonic devices. Plug in some headphones, get out a notepad, and start associating. Practice reading words around you and start to speak them aloud. The 90 Minute Challenge should help systematize this step. Hours 1-2: Keep the momentum going and start building up you vocabulary by learning Korean words that were adapted from English. These are vocabulary words (usually nouns) that require almost zero memorization on your part because they sound just like the English. You can learn and perfect 15-20 of these in just under an hour — spelling and all. Hours 2-3: Equipped with some vocabulary, it’s time to learn how to ask basic questions and have your first interaction in Korean. Go to the local store and ask if they have one of the items you just learned in your vocabulary study. If you can’t, get on a Skype call with a Korean friend or language exchange partner and ask them a few questions (“Do you have a girlfriend?”). You’ll be using this for years to come, and within 3 hours you’ve already had your first interaction in Korean — score! 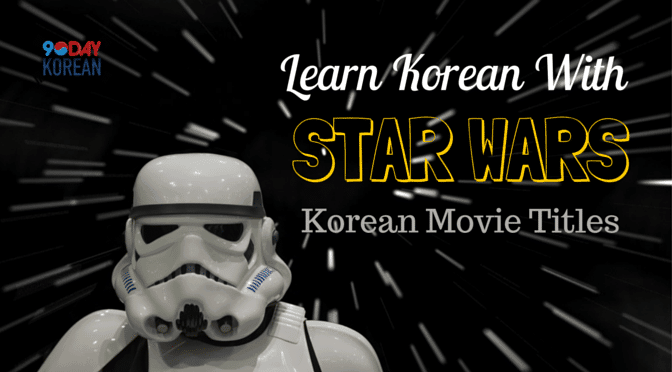 Hours 3-4: Upgrade your abilities and learn to make requests in Korean. This requires you putting your head down and learning just one simple language point. Then it’s time to hit the streets once again and make an order in your favorite restaurant or take a taxi. 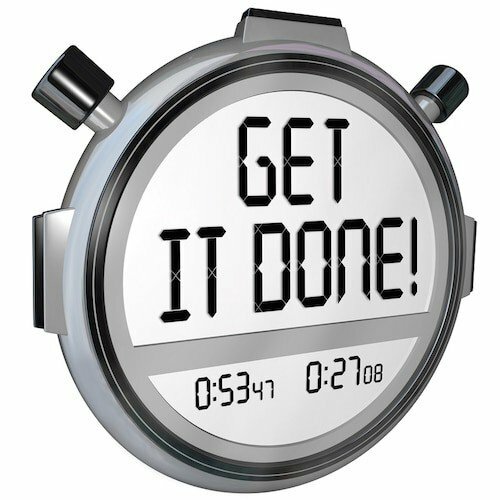 Start your stopwatch and get it done! I’d say that’s enough for one day. After that, take a rest and bask in your success! You’re already miles ahead of the majority and you’ve gotten there in only four hours! 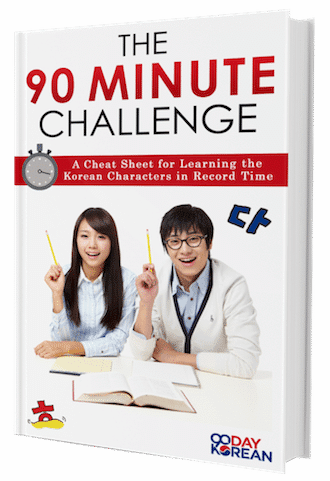 Sign up for the 90 Minute Challenge Korean character “cheat sheet” and we’ll send you three bonus lessons as they’re ready that help cover the first 4 hours of study. This is the only piece of information you need to get started right now. Did you know that there are fewer Korean characters than there are letters in the English alphabet? Korean has 14 consonants and 10 vowels. Unlike Japanese or Chinese, which have thousands of characters and each can have 10, 15 or more strokes, the most complex Korean character has only five strokes. These symbols look foreign to us at first glance, but you’ll easily recognize them after making a few associations. Since we’re learning a new language and have never seen these shapes before, it will be very difficult for us just to memorize them. Therefore, we need to ‘link’ them to something already in our minds in order to create an association. We can do this using a visual learning technique to associate the new characters with pictures and sounds we already know. The first letter of the English word in the picture has the same sound as the Korean character. This will help to start to create the associations. We can associate that with a bed since the character looks like a bedframe and the letter “b” also corresponds with the sound of the character! The character that makes the sound “ch” looks similar to the top of a church. We can associate this symbol with the church and easily remember the sound it makes that way. That covers the consonants! There are also a few associations we can make for the vowels that simplify everything for us. Luckily you don’t need to reinvent the wheel. Just download 90 Day Korean’s free guide for learning the characters and see all the associations! The work is already done for you. For the rest of the days, there are only a few key actions you need to take to ensure you get to conversational fluency. Let’s check back in with our schedule! Day 2: Set goals (explained in more detail in this post). The importance of this cannot be overstated. The goal should be specific (ie., to be able to hold a three minute conversation with a local) and have a timeline (ie., within 3 months). Day 3: Learn the pronunciation rules and character combinations. You’ll want to learn how to combine the vowels to make 6 additional sounds. These are pretty straightforward. Days 4-89: Crack open the books or Korean language course content for 30 minutes a day, 5 days a week and spend at least one hour every week getting out in the real world practicing speaking. It’s all about learning the key “helping” verbs and then peppering in strategically chosen, commonly used vocabulary words to your arsenal. And practice. This can’t be understated. To help guide you, I’ve put together a list of six key elements to any Korean study plan that will help make sure you get 80% of the results with only 20% of the effort. 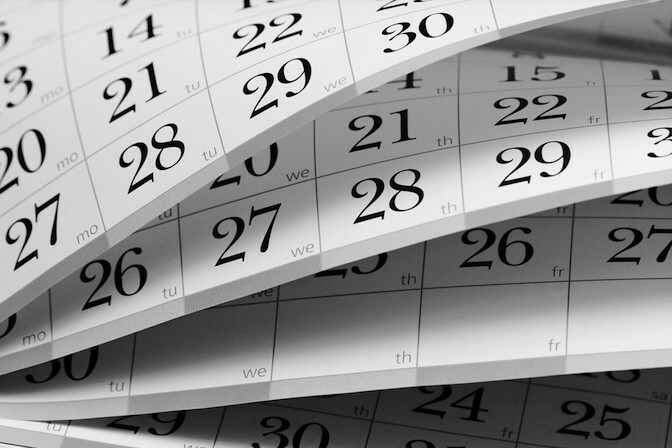 Focus on these key activities and you’ll be conversationally fluent in only 90 days. 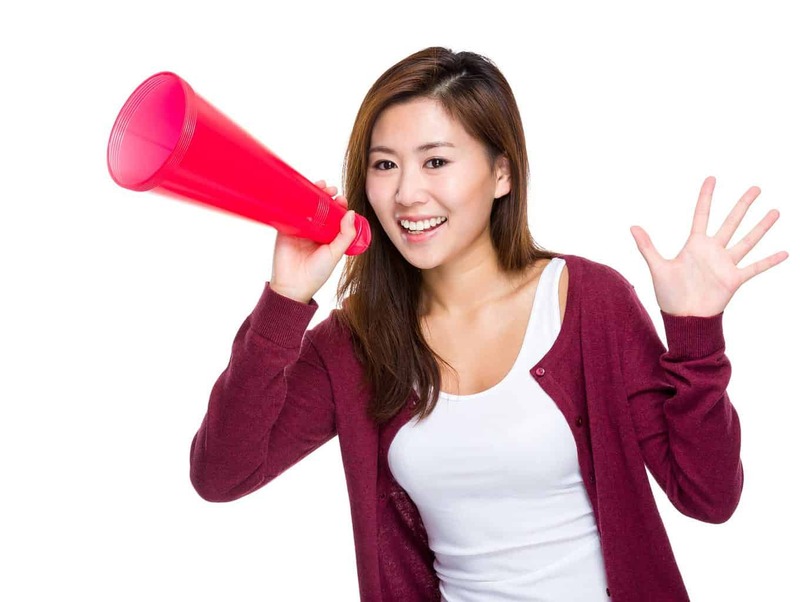 To get early success in Korean and rapidly expand your speaking abilities, you can rely on helping verbs. Helping verbs in English are the verbs that help the main verb to express different tenses or moods. The most common are be, do, have, will, shall, would, should, can, could, may, might, must, and ought. 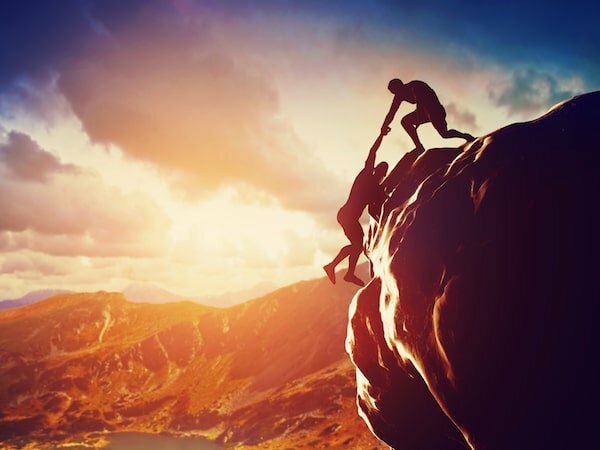 Helping verbs give you the boost you need! In Korean, we just need to learn different endings to change the meaning of the sentence. To rapidly multiply the types of sentences you’re able to make and understand in Korean, you can make use of the same idea in your studies. 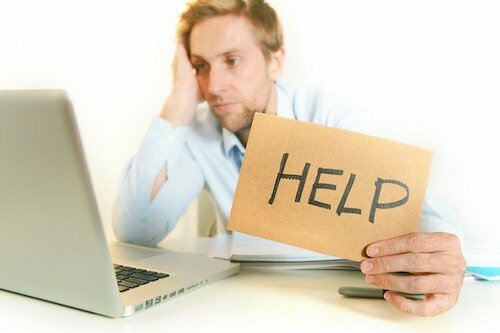 In fact, if you’ve gotten through the first 4 hours outlined in this post, you’ve already started to make use of different “helpers” when you asked simple questions at the store or made a request to the taxi driver. They both use certain endings that help communicate that you’re asking a question or making a polite request. Talk about an early win! Once you memorize the right vocabulary, which we’ll talk about next, we’ll be able to use these endings and just plug them into these sentences! If you want to get a Korean Kickstart and learn a few of the most common endings in Korean, venture over to our post about 4 sentences you can start making right away. With this knowledge alone, you’ll be communicating many ideas in Korean right from Day 1, while other Korean students will be stuck in the vocabulary memorization phase for weeks or months! There’s no way to sugar coat it — starting to learn Korean means you’re going to have to learn new words and phrases. But it doesn’t have to be tedious and boring. You can start with the most common Korean verbs: to eat, to sleep, to drink, etc. By knowing them, you can already communicate many different ideas by making use of different sentence endings. Great! But after you’ve got those down, how do you know how to choose which words to study? You can make use of the 80/20 Principle. The 80/20 Principle is a law written by Vilfredo Pareto, where he showed that 80% of the wealth in a given society was held by 20% of the population. The law was also found to hold up in areas outside of economics. For example, Pareto noticed that in his garden, 80% of the peas were being produced by only 20% of the peapods. The 80/20 Principle in general can be summarized as: 80% of the results come from 20% of the effort. Therefore in language learning, it’s important to select the most important and relevant materials and focus on the 20% that give 80% of the results. One way we can make use of this is to study only most frequently used Korean words. You can find a list of the most common Korean words. However, it’s important to differentiate between most commonly spoken words and most commonly written words. Once you’ve found a good resource list, you might want to consider using SRS systems or Anki decks to learn the critical words and phrases. Material selection is most important. Then, once we have the materials properly selected, then we can refine the method. Using psychology, we can better encode the material so that it sticks better, and present it in the right order so that we make deep associations along the way. 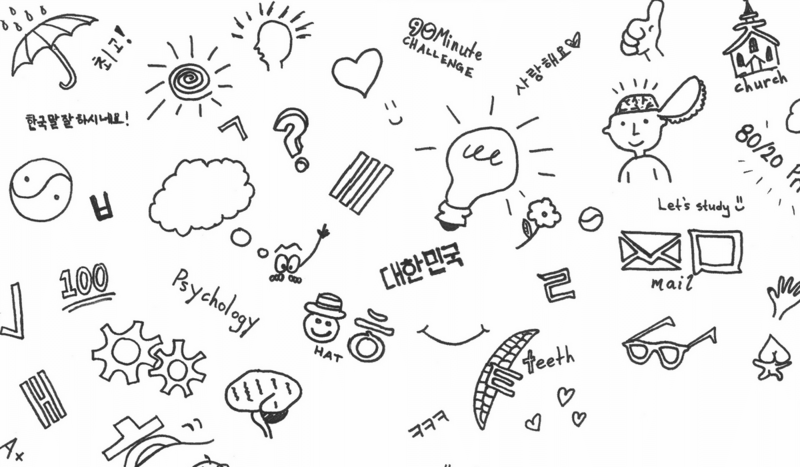 To find a list of some of the most commonly used Korean expressions (and more), take a look at our Korean phrases post. It’s not always easy to learn new vocabulary words, but we can use a few psychological tricks to make sure we make them stick. Just sitting for hours and memorizing can work, but to make sure the new vocabulary sticks, you either need to use it or hear it quickly after learning it, or glue it to your memory with associations. It’s really frustrating when you study for hours, only to have your mind go blank in a conversation. The best way to make an association is to make a strange and memorable image in your head. If you’re a visual learner naturally, this will be easy! The reason this works so well is because at first, the sounds and words in Korean sound very foreign to us. They are new sounds that we’ve never heard before, and there’s nothing to associate them to. In the beginning, we can attach new Korean vocabulary to similar-sounding English words we already know. As we start to expand our lexicon, we can then start anchoring new words to other Korean words we already know. Take a look at the example for “soap,” which is 비누 in Korean. This student came up with the association of a dirty, smelly person using soap to “be new.” It’s like a soap commercial in the making! In the second and third examples, the student used Korean vocabulary she had already memorized to associate new Korean words to! As you can see, even similar-sounding words will do the trick. It’s like laying the foundation of a house and making it stronger with each layer added on. They ring 원 (one) 공 (gong) at the 공원 (park)! 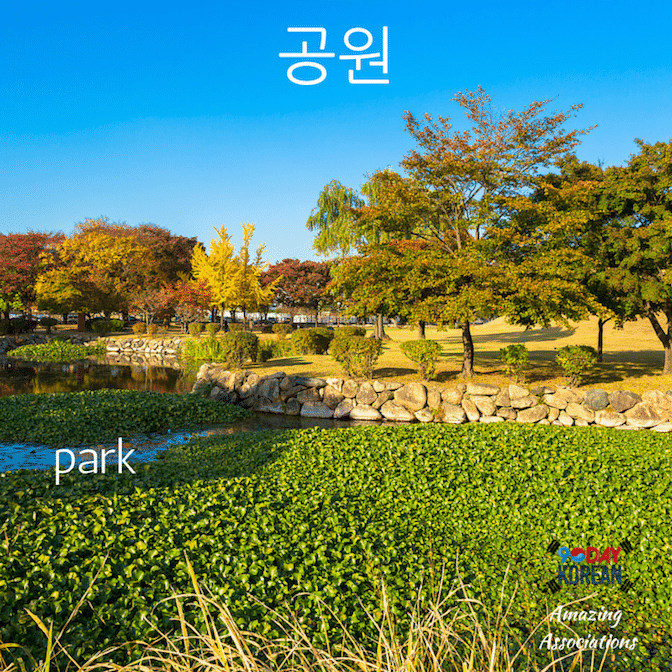 You can think to yourself “they ring 원 (one) 공 (gong) at the 공원 (park)”. Another method we teach in the 90 Day Korean Inner Circle is a peg system for learning new vocabulary words. It’s very useful for memorizing lists of words. To learn it and get an example of how you can use it in your studies, head on over to this post called Korean Words: Memorization Made Easy. Remember, these are just two ways to memorize new words in the beginning, when appropriate. You won’t always rely on these methods. After using the new words you’re learning a few times in sentences and conversations, it will be second nature to use them and you won’t need techniques. 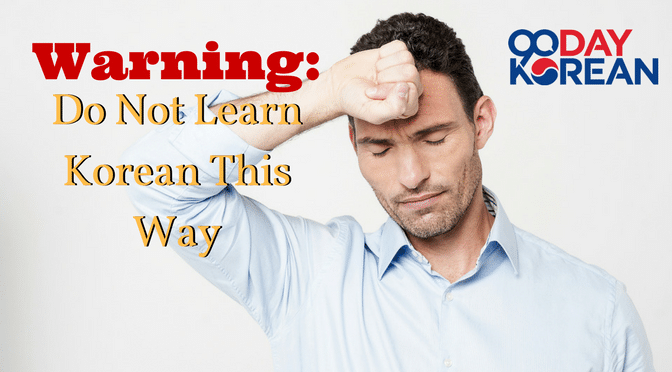 Ever heard the expression “If you don’t use it, you lose it?” Well this goes double when learning a new language. 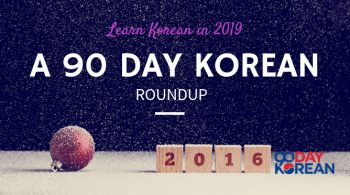 During the first 90 days of learning Korean, there will be a ton of work to do. If you follow the gameplan outlined in this post, you’ll be learning lists of the most critical vocabulary and expressions while also learning new sentence structures, grammar, subtleties, and trying to piece it all together in sentences. You may also be writing sentences, watching Korean television, listening to music and audio and reading signs and books in Korean. As nice as it would be to come out at the end of the 90 days speaking Korean fluently from these armchair activities alone, it just won’t work that way. You need to get out there into the real world and start speaking from day 1. Yes, it takes some courage at first. That’s ok! You can start with some Korean phrases such as “감사합니다 (thank you)” and “안녕히 계세요 (goodbye)” after you’ve been given the receipt. After a few times, you may be able to make out what you couldn’t understand before (even if you don’t know the meaning). Write down what you heard, ask a friend or coach, and go back in prepared the next time with an answer ready. You’ve just learned a new noun, two new verbs, formal language structure, and polite commands — all from one small interaction! If you can repeat this every day, you’ll learn quick and be speaking like a natural in no time. 4) Go out and interact at stores. Listen to what people say to you and write down what you don’t understand. Go home, prepare, and go back ready to respond. The goal is to work your way up to the goal you set for yourself on Day 2. In the Inner Circle, we let students choose their own goals for themselves when they enter the program, but we have our own goal for all students as well by the end of Module 1 (the first 90 days). Be able to hold a 3-minute conversation with a local. With that goal in mind, we’ve created challenges that go along with the set of lessons each week that slowly build up to that goal. Go out and try to do the same for yourself, interacting each day in Korean. Speaking is best, but if you cannot because of location or other circumstances, try texting. Download Kakao Talk and start chatting with Korean friends every day, asking questions and constantly improving. If you are not making mistakes when speaking Korean in the first 90 days, you probably are a certified genius or you aren’t studying hard enough. Mistakes are a good thing. A very good thing. Fear of embarrassment is one of the main things that hold new learners back when learning Korean. They may not word it in the same way, but that fear is there. They are afraid to make mistakes. That fear of being wrong stops them from interacting in Korean as much as they should because they’re afraid that others won’t understand them. Instead of speaking in Korean, they just resort to speaking in English at the cafe, restaurant or on the street. Put yourself in the shoes of the other person in the interaction. Given option A or B, which do you think they’d prefer? Have you ever seen how nervous some Koreans look when you approach them? It’s because they are expecting you do do just that — put all the pressure on them. Language breaks a lot of barriers, and making mistakes is going to offend no one. In Korean, there really is little to fear. If you were just starting to speak Cantonese or Mandarin, you would probably get laughed at by locals because there are multiple tones and using the wrong tone could completely change the meaning of the word. Cantonese speakers love to laugh at non-natives when they speak Cantonese, because so many things can have a double meaning! In Korean, you don’t need to worry. The worst that can happen is that someone might not understand you. But they’ll sure appreciate you for trying. Even if you do get laughed at, that’s a good thing. You’ll be popular! Most Koreans have never heard foreigners speaking in Korean, so their laughter is a sign of admiration. Think of it this way: You’re making people smile. If that isn’t motivation to keep you going, I don’t know what else is. On top of making others feel comfortable and making them smile, the benefits of making mistakes for you are substantial. You get to see where you’re confusing people and change up the way you communicate. You can have others correct you. You get to interact with Koreans from a very early stage and adjust your speaking style to match theirs. One of the best ways to start accepting that mistakes are a good thing is to change your mindset. Start embracing mistakes in Korean. The old adage, “Every mistake is a learning experience” certainly rings true in language learning. With every mistake you make, you learn something new about the language. You learn the subtleties in the way Koreans communicate. Aim to make as many mistakes as you can. You only need to make a mistake once or twice before you learn the proper way to word things and correct course along the way. Fear of making mistakes holds many new Korean learners back from using the language as much as they should in real-life scenarios. But there is a quick fix. The key is to learn a few critical expressions so you can get yourself out of situations where you don’t understand the other person or you don’t know what to say. Magical phrases that you could use to dig yourself out of any situation. If you had those to fall back on, there would be no reason to be afraid, would there? 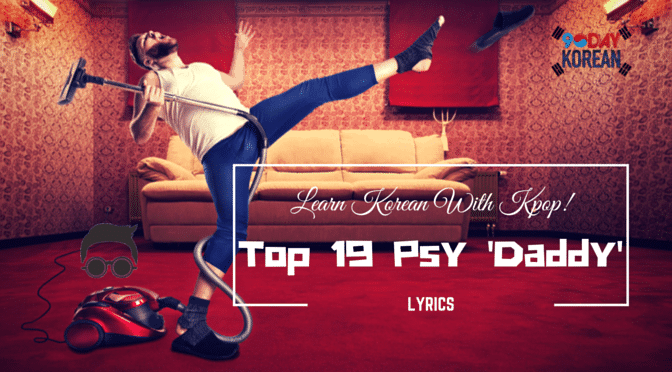 Dig yourself out of awkward Korean situations! If you had to brainstorm a list of these phrases right now, what would they be? Is there anyone here who speaks English? 영어 하는 분 있어요? What is the meaning of ___? ____ 무슨 뜻이에요? The last phrase is really key for continuing a conversation when you didn’t understand a part of the sentence. The other person can explain in a different way, or it invites them to speak just that one word in English if they know it. Many Koreans know a lot of English vocabulary, but are unsure how to use them in sentences, so often times they are happy to help out in situations like this and demonstrate their knowledge! With the right practice, you’ll eventually be able to hit your goal! The three months will fly by, and when you finally reach day 90, it’s time to put your skills to the test. Of course, you’ll have been building up to the grand finale slowly week by week, but now is your moment. 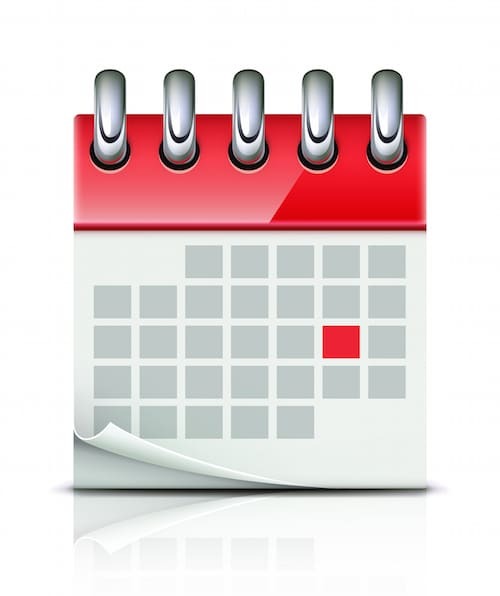 Mark your calendar, you’ll be speaking Korean before you know it! Day 90: Hit the town and have a 3 minute conversation with a local. Have fun with it and be sure to crack a bottle of soju in celebration. Hit me up if you need any help along the way!